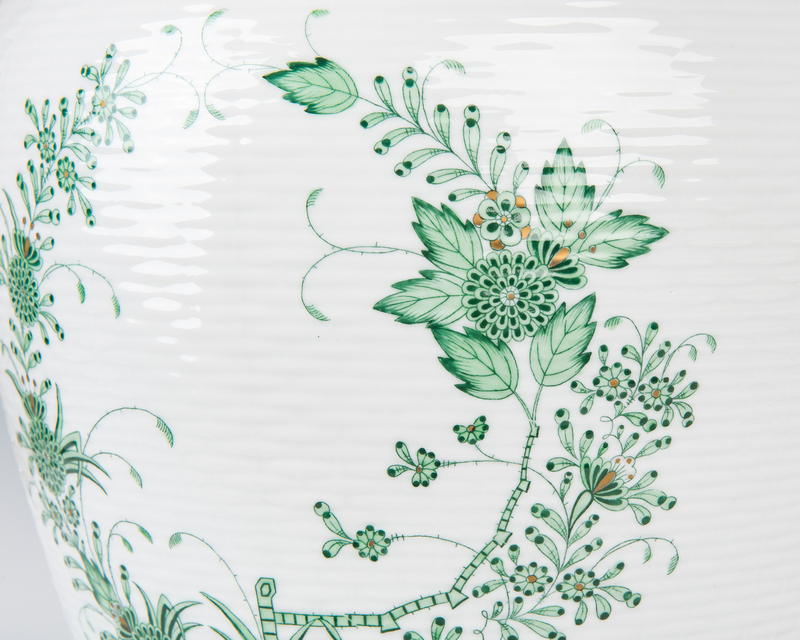 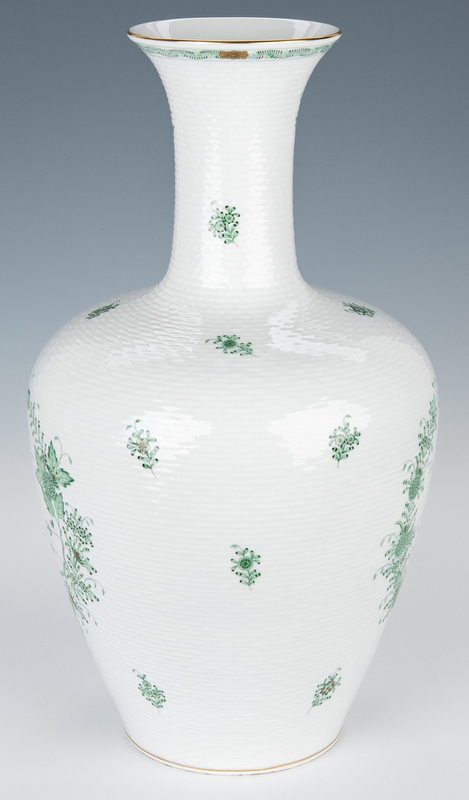 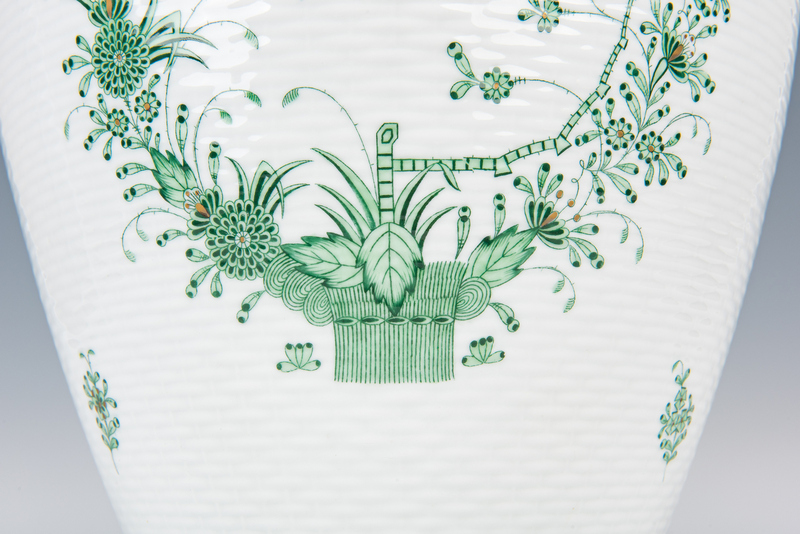 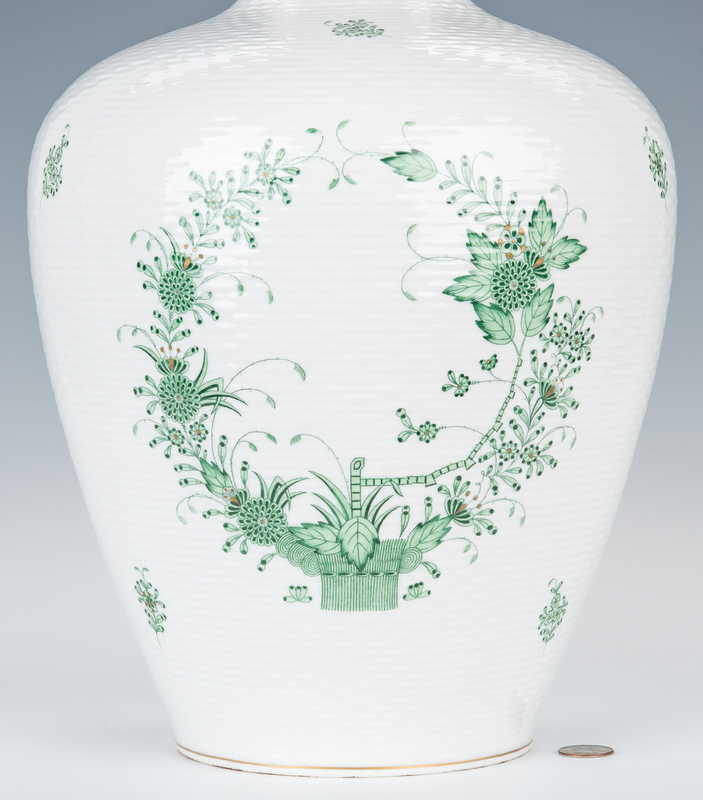 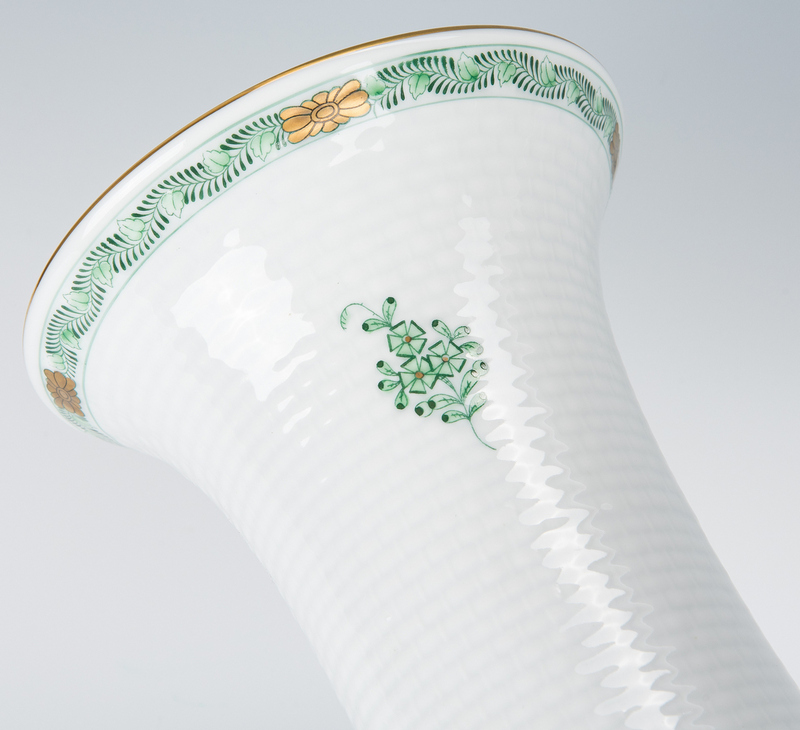 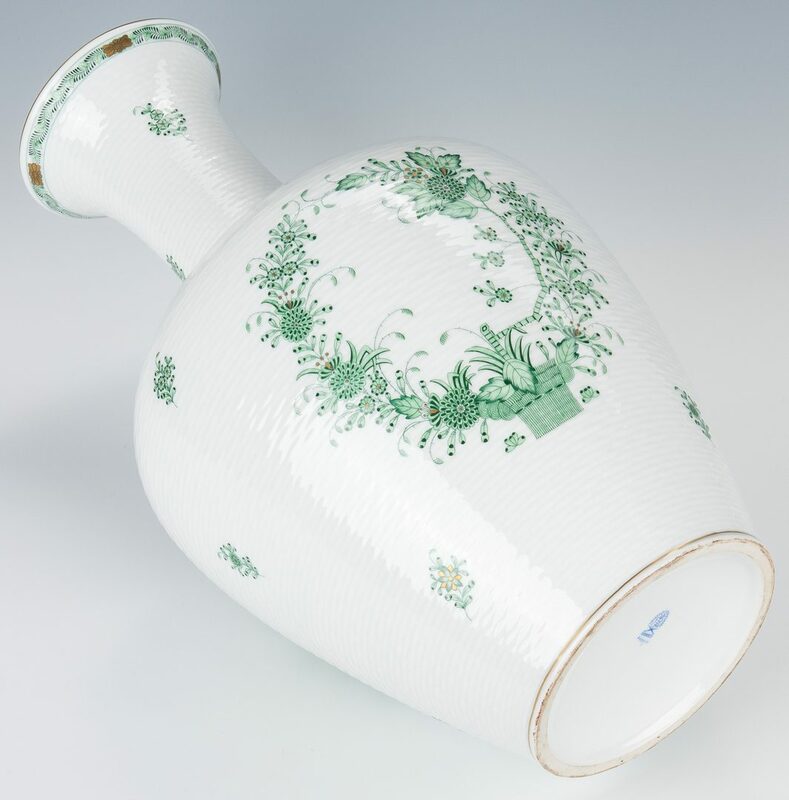 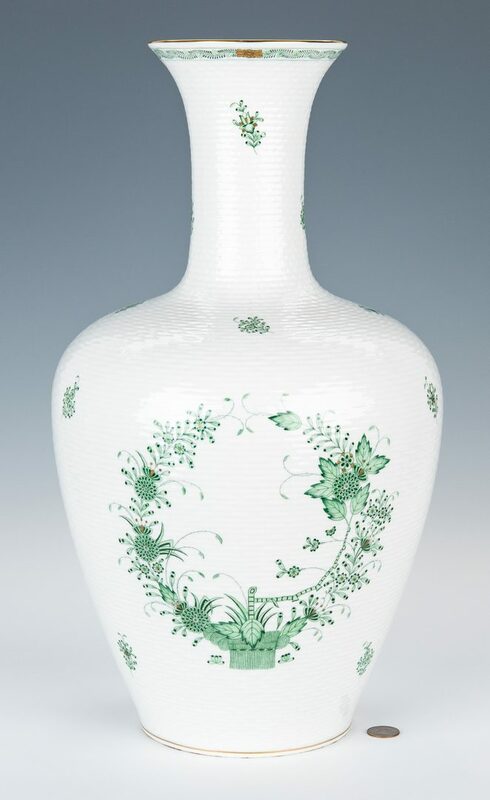 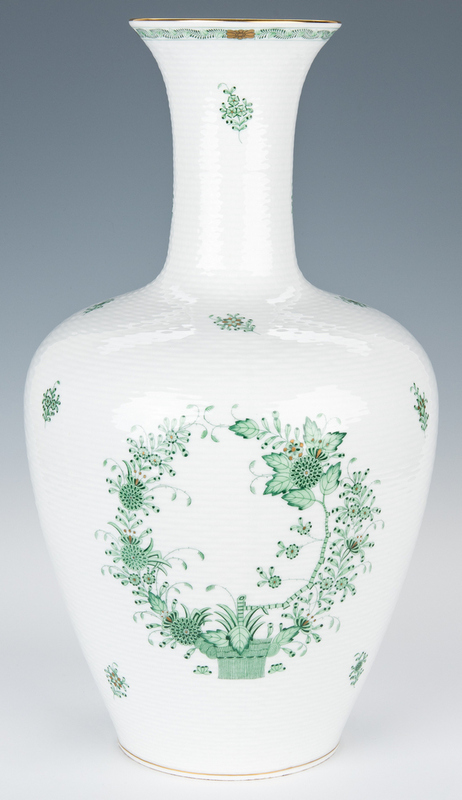 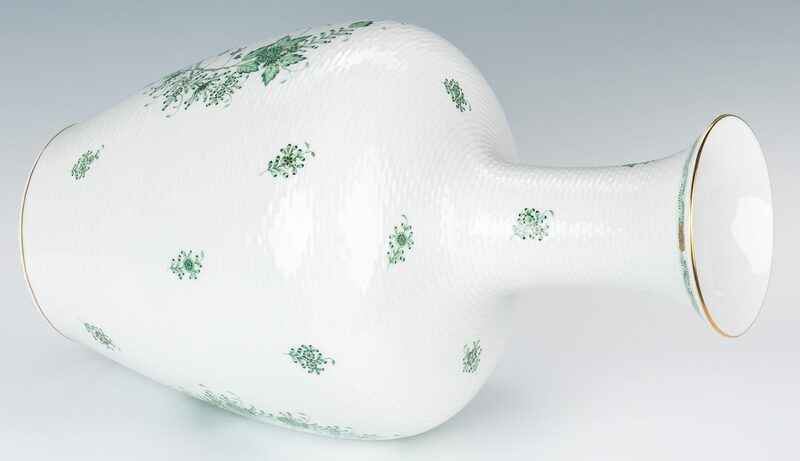 Large Herend porcelain bottle form vase in the Chinese Bouquet pattern, green with wide flaring rim and basketweave ground, gilt highlights throughout. 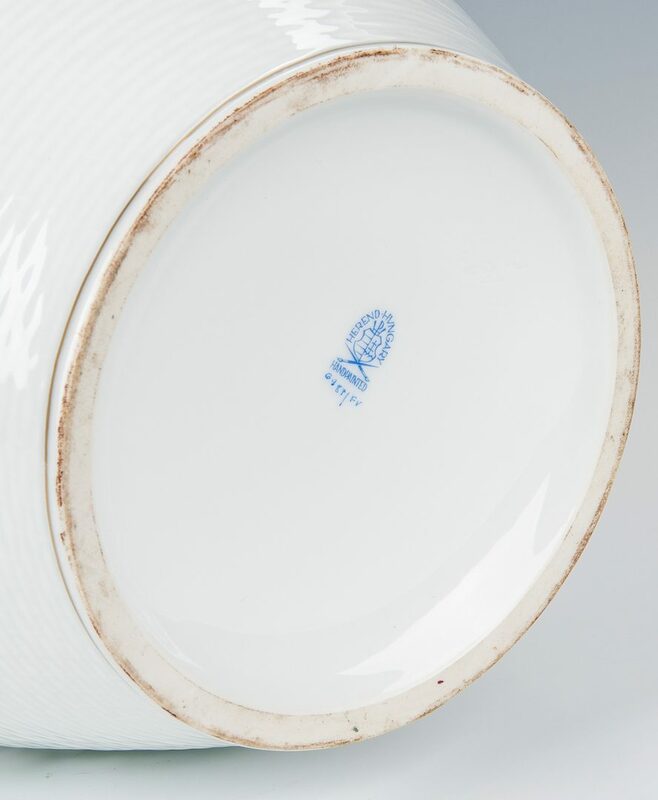 Blue Herend stamp mark and numbered on the base. 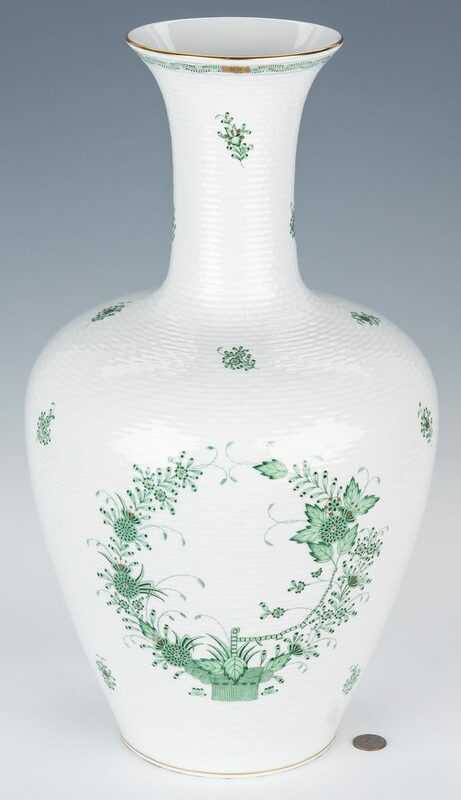 20" H. 20th century. 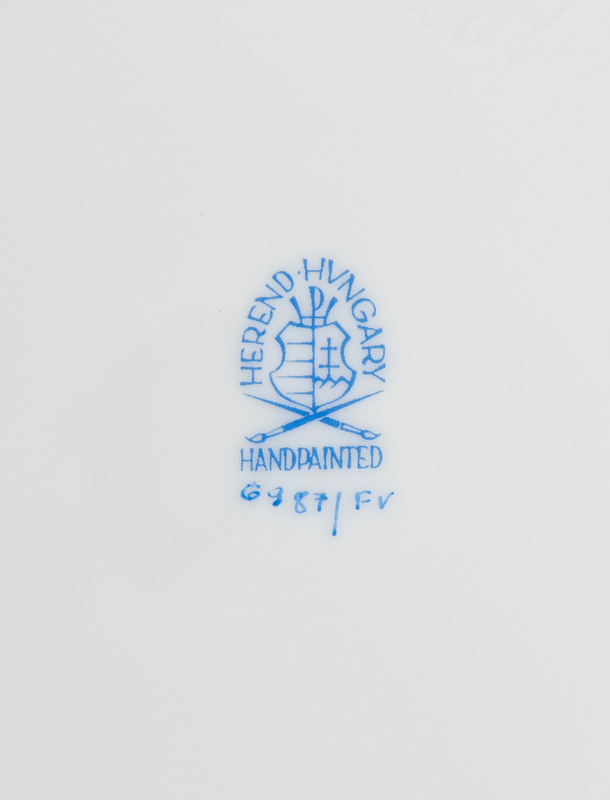 Note: This item was purchased by the consignor while traveling in Hungary. CONDITION: Overall very good condition.